NS: Is Captain America a Blood Knight? 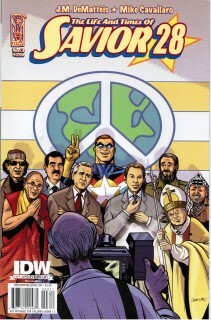 The Life and Times of Savior 28 was a five issue miniseries from IDW, written by J.M. 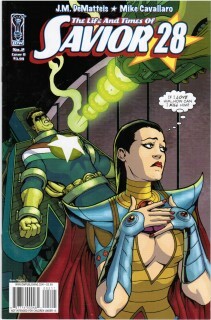 DeMatteis and drawn by Mike Cavallaro. 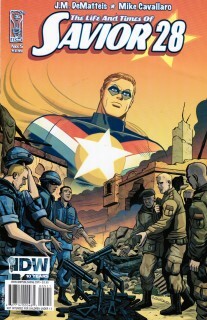 DeMatteis based the idea on his original plans for CAPTAIN AMERICA #300, where Cap would start his own peace movement and get assassinated. SAVIOR 28: I think Chris Nolan's gonna sue somebody! 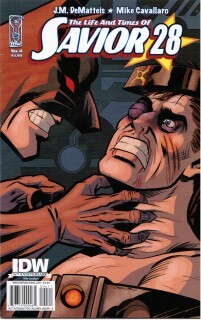 THE LIFE AND TIMES OF SAVIOR 28 was a miniseries by J.M. 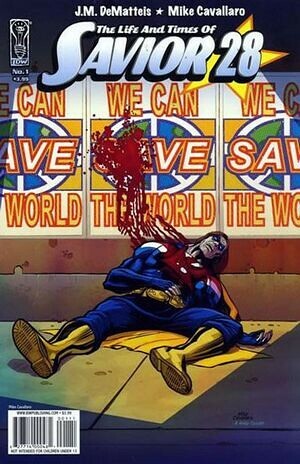 DeMatteis and Mike Cavallaro, where a superhero named Savior 28 starts a peace movement and everyone hates him for it. Yes, it's more complicated than that, and I posted sections on the old board. But I'm posting a few pages where the story is takes a rather dark dig at BATMAN BEGINS.